Indiana University Press aims to publish books that will matter twenty or even a hundred years from now—books that make a difference today and will live on into the future through their reverberations in the minds of teachers and writers. Founded in 1950, Indiana University Press is recognized internationally as a leading academic publisher specializing in the humanities and social sciences. 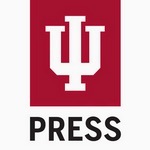 Indiana University Press produces approximately 140 new books annually, in addition to 28 journals, and maintain a backlist of some 2,000 titles. Indiana University Press's major subject areas include African, African American, Asian, cultural, Jewish and Holocaust, Middle East, Russian and East European, and women's and gender studies; anthropology, film, history, bioethics, music, paleontology, philanthropy, philosophy, and religion.